Maxwell loves to play outdoors. Since he was small, we have spent many hours outside in our garden in all weathers. Recently I have been looking at ways to improve our garden for him especially for the weekends when he is off school. Our garden is not huge so we first opted for a small trampoline. 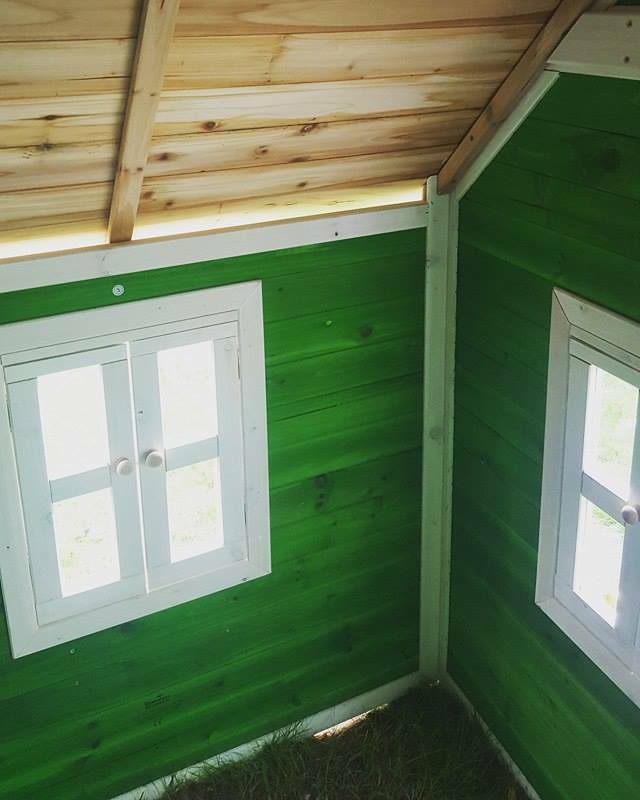 We next opted for a beautiful playhouse sent to us by the lovely people over at Big Game Hunters. After having a look around the Big Game Hunter playhouse shop, we were stunned at the amazing playhouse designs Big Game Hunters had to offer. There was something for everyone, different sizes for different gardens and different shapes and accessories to suit peoples tastes. I was overwhelmed at not only the selection that Big Game Hunters had to offer but at the reasonable priced playhouses they had to offer. We decided to pick the Whacky Mansion. 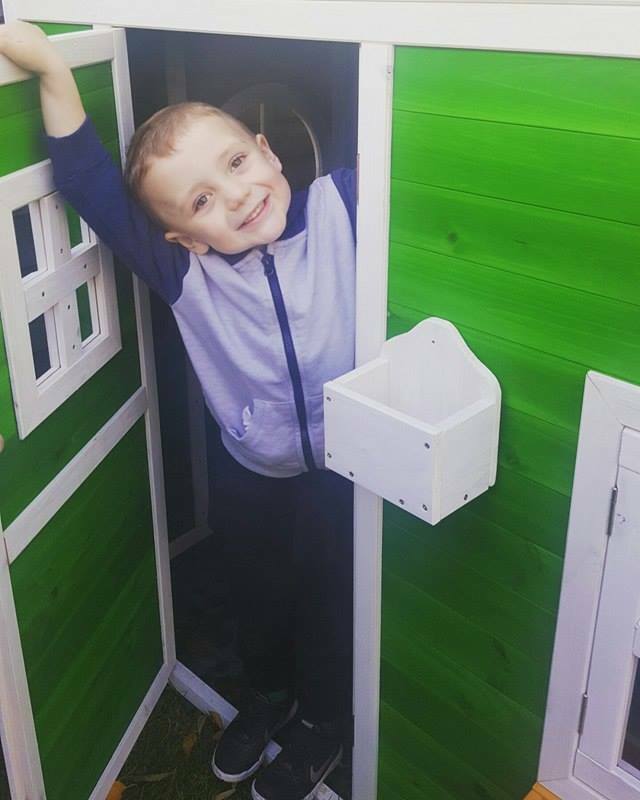 We felt the playhouse was ideal for our garden due to it not being too large for our garden however large enough for Maxwell to grow with. 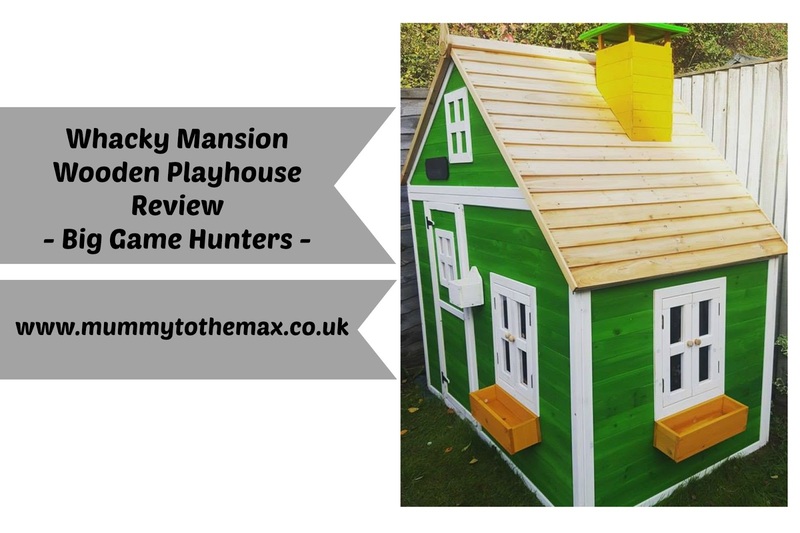 We also decided to choose the Whacky Mansion playhouse as we loved its quirky design and its bright colours. 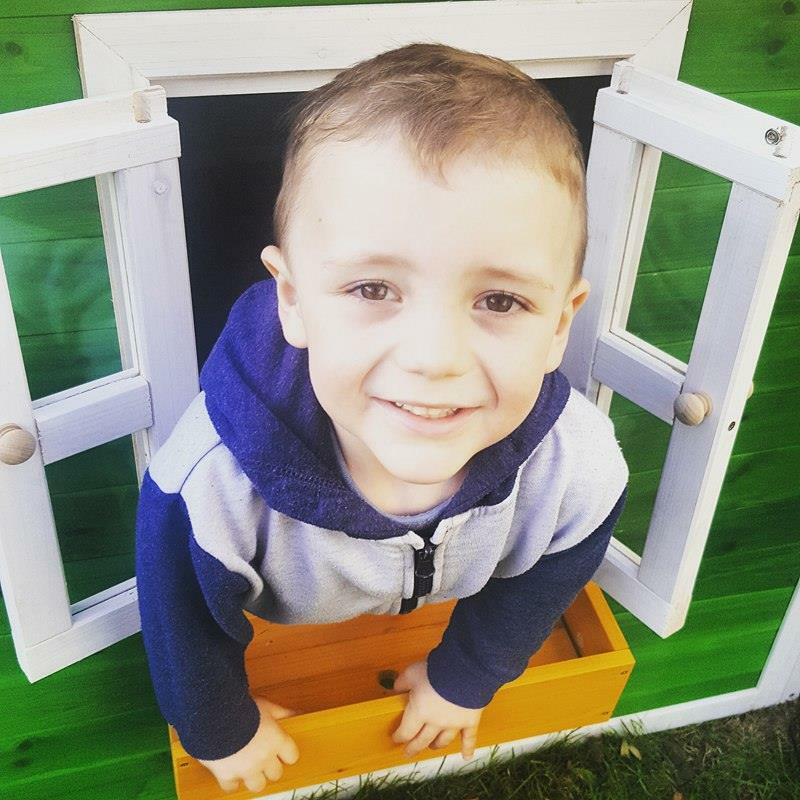 We also choose the Whacky Mansion due to the fantastic features it has to offer including window boxes which Maxwell can grow his own flowers in, a clever letterbox which we can leave Maxwell post in and an amazing chalk board which means Maxwell is able to name his house! 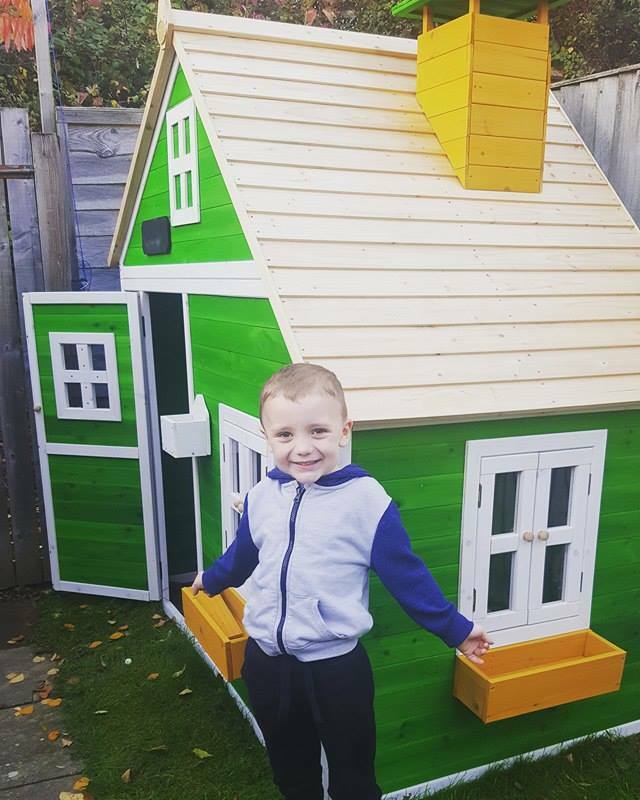 The Whacky mansion playhouse is made from premium Fir wood which is naturally durable and provides a secure playing environment that will be treasured for many years to come. The panels are also pre-treated with a hardwearing wood stain to enhance the beauty of the wood. We were able to order the Whacky Mansion playhouse over the phone however you are also able to order online. The whole process was very simple and we waited for our playhouse delivery. The delivery was fast and straightforward. We were delivered the playhouse within a couple of days of ordering it. We were sent clear tracking information and Big Game Hunters kept us in the loop at all times. Their communication was fantastic. The playhouse arrived well packaged and in 2 separate large boxes. On a dry weekend, Ben and Maxwell's Grandad decided to head outside and put the playhouse up for Maxwell. The playhouse required 2 people to assemble it. Ben and Maxwell's Grandad found the process quite easy of putting up the playhouse. The playhouse included easy to follow instructions for them to follow. The build took around 1 hour to complete. I was surprised how quickly they managed to put the playhouse up. The playhouse panels were ready-to-fit with the windows and door already fitted, this meant that all Ben and Maxwell's Grandad needed to do was secure the panels together using the pre-drilled holes and clearly labelled screws. The accessories such as the window boxes and the chimney on the playhouse were the items which took the most time to add. When Maxwell laid eyes on his new playhouse, he was overwhelmed. He cheered in delight and ran outside to investigate it straight away. The features which Maxwell loved straight away was the chalkboard, the windows which he was able to open and close and the amazing letterbox. Since we have had the playhouse, we have included little extras for him which he adores including solar lights, water and sand table and a small chair. I am amazed at what a difference the playhouse has made to Maxwell's life. Maxwell can often be seen spending time in his playhouse and if he is not in there, he is telling his friends or our family about it. He really is proud to have it in our garden and it is one of his favourite things he has had since he was born. At the present moment, we are saving for the floor. The floor does not come with this playhouse and is an optional extra for £79. At the present moment we have the house situated on foam squares and we have kept it off the floor with bricks. When we are able to add the floor, Maxwell will be able to be able to do a lot more floor activities in his playhouse. He has already asked me to add a train track! As a parent I am thrilled with the Whacky Mansion. It is amazing to find something which Maxwell loves. It is a space and toy which will keep giving and will allow Maxwell to keep making memories in it. 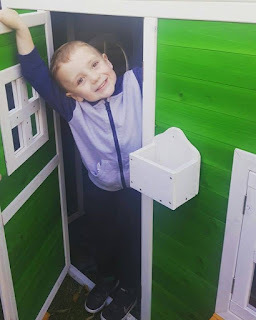 I am thrilled with the design, quality and the build and I am happy to know that Maxwell now has a safe space which he can call his own to visit in our garden. The Whacky Mansion can be purchased from Big Game Hunters. Please take a look at their website if you are planning on buying a playhouse. They have plenty of playhouse ranges to suit everyones needs and budgets. Overall I would recommend this Whacky Mansion playhouse to any parent. 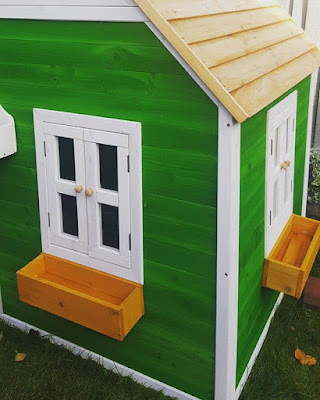 Please take a look at my video below to see the Playhouse in great detail.